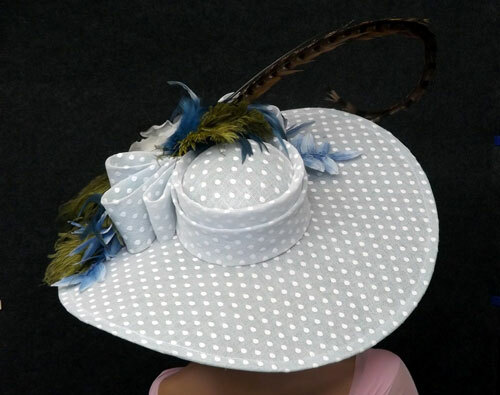 Eye catching 7" brim is made from gorgeous light weight, baby blue sinamay, overlaid with white dotted swiss tulle. Trimmed with a large matching double bow, vintage deep blue fern leaves and over-sized white silk and panne’ velvet rose. Olive green ostrich and deep blue coque feathers set the stage for the dramatic long pheasant feather accent! 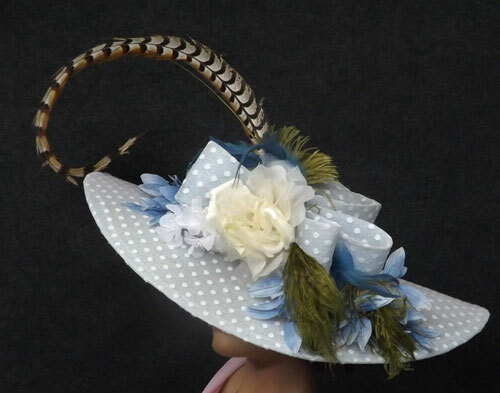 We think our BLUE MOON OF KENTUCKY chapeau is a knock out! 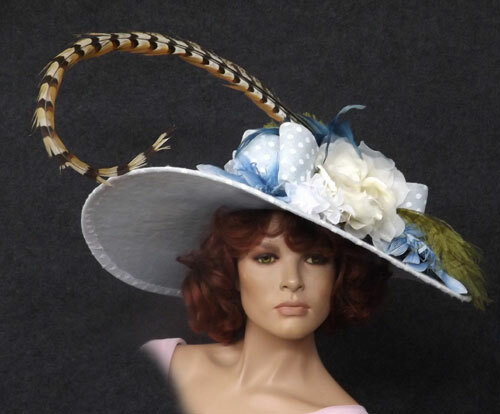 Perfect for the Kentucky Derby and stylish Race Season Hat Parades! But don’t stop there! 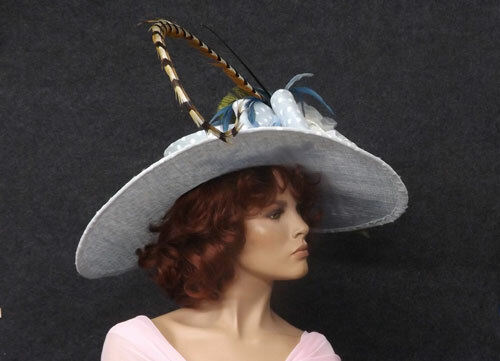 Wear this heavenly blue chapeau to a Garden party or Conservancy luncheon… or romantic country pic-nic. Maybe you'd like to wear her to The Biltmore or Grand Hotel???.... No one will forget YOU! We're betting she’ll take you places! ... And light as a feather at only 7 ounces!